Play online the popular variation of backgammon in the middle east. Also known as محبوسة - Plakoto - Tapa - Shesh Besh - Tavli. Play against matched opponents from all over the world. Add friends and invite them to private matches. See how you rank up against your friends and other players. Every player has fifteen checkers to start with. One player's checkers are placed on his one-point. The other player's checkers are placed on his 24 point. The players have to move their checkers in different direction on the Mahbuse board. The number of points, or pips, or the places a player can move his checkers is decided by the roll of the die. In the game of Mahbuse a checker can be positioned only on an open point. An open point is the one that is not occupied by two or more checkers of the opponent. The numbers that appear after rolling the two dice make separate moves. The doubles in Mahbuse are played twice. For example, a roll of 3-3 means that the player can use the three’s four times. Hitting is not allowed in the game of Mahbuse. In its place, if a player lands on a point occupied by an opponent’s single checker, the opponent cannot move his checker unless the player moves his checker. In other words the opponent’s checker is Pinned. A block is created by two checkers of a player lying on a point or one of his checkers pinning the opponent’s checker. The mother checker is the last checker on a player’s starting point. It is very important in the game of Mahbuse. If the mother checker gets pinned by an opponent’s checker before it has left the starting point, the game is over and a Double Win/Loss is counted. This particular rule has an exception if the opponent has his own mother checker at the starting point. A game in which the mother checkers of both players are pinned results in a tie. The first player who bears off all his fifteen checkers is the winner of the game. If the losing player has successfully borne off at least one checker, the winner is awarded a Single Win; otherwise he/she is awarded a Double Win. If the match ended due to the pinning of the Mother Checker, the winner is awarded a Double Win. If a match is lost due to quiting mid-game or forfeiting, the winner is awarded a Double Win. The ranking points you gain or lose at the end of each match depends on the rank of your opponent. Winning against a low ranked player will award you less points than winning against a similar or high ranked player. Similarly, losing to a low ranked player will deduct more points from you than losing to a strong opponent. The points you win or lose are also doubled in case of a Double Win. This is to make sure that your points will refelect your true strength and not just how many matches you play. You also lose points if you do not play a certain number of matches per week, and this is to make sure high ranked players do not stop playing to just maintain their top rank forever. © 2013. 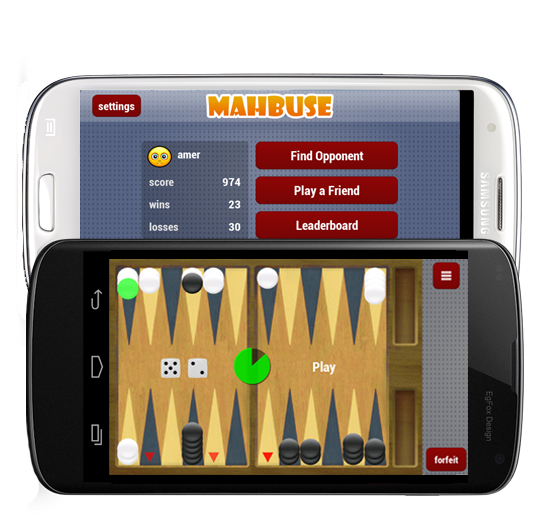 Mahbuse.com. All Rights Reserved.